Team NL Ambassador, Ben Steele, took on the challenge of running 1,300 miles in 2016 with the goal of raising $1 for each mile ran to benefit a neighbor in need. It was his way of adding some purpose and drive to make sure he hit is mileage goals and be ready for the marathon goals he set, which was to quality for the Boston Marathon. Ben set out on the goal without a specific NeighborLink project in mind for half the year. Late summer, a project came up that we knew would be a good fit for Ben's campaign and would be the story he needed to help stay motivated for the rest of the year and to help with the fundraising efforts. 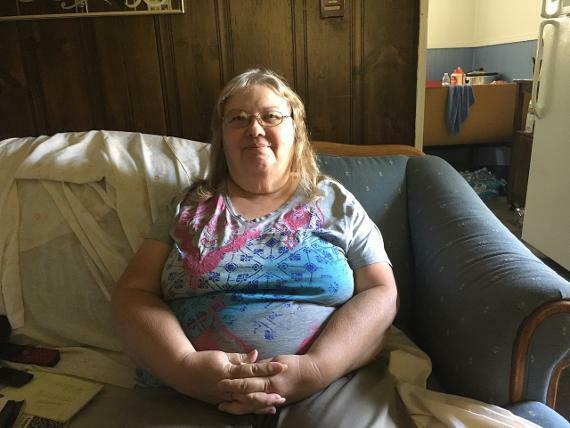 Marcia who has been in her home since 1978 needed to have her bathroom retrofitted to make it easier and safer for her to use due to her disabilities. NeighborLink had committed volunteers to get the tub surround replaced and a number of small bathroom repairs and updates to make sure she has a suitable bathroom. We just needed the funding required to cover the expenses. You can read more about Marcia and see pictures of her previous bathroom here. Ben was successful at raising his $1,300 and we just recently completed the bathroom remodel for Marcia. You can see the photos of the before and after below. We need people like Ben to help us raise awareness and resources to help neighbors like Marcia get the repairs they need to restore the quality of life they deserve. We believe that no one should be a prisoner of their own home or be forced to move because something like this. We can't fix everything nor are we out to keep every person living independently, but we sure are going to try to help as many as we can. If you'd like to become an Ambassador or raise funds through athletics on our behalf, please contact us. Anyone can do it and be successful at it. Consider adding a goal that gives back to the community to your 2017 fitness goals.